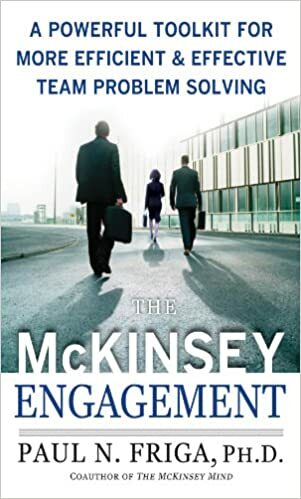 This is the third book in the McKinsey trilogy by McGraw-Hill after The McKinsey Way and The McKinsey Mind. It is written by Paul N. Friga, a former McKinsey consultant, and co-author of The McKinsey Mind. As in the previous two books, this book is also an attempt to document the learnings from his period at The Firm to share it with the world. He also reached out to several other alumni of the Firm to get their inputs and also included the inputs from a real-life 'engagement' by his students. In the end, he also shares the application of the model in business schools, consulting firms and corporates. Just like its predecessors The McKinsey Way and The McKinsey Mind this book is short (less than 300 pages) and easy to read (well-structured and simple English). If you are part of the corporate world or are planning to join it some day - you'll find this book very useful (irrespective of industry preference). There is a real-life case - where the students are making an attempt at helping the community make a 'super-critical' long-term decision about itself.